The so-called “War on Drugs” is responsible for more death, destruction, broken families, ruined lives, and have done more damage than nine train loads of maharaja ever could. From an economic view, the war has actually made matters worse. The war on drugs attacks supply. Supply decreases, price increases. Price increases mean little old ladies shot off of park benches for their purses. Ross Ulbricht’s sentence has finally come down: forever. Life without the possibility of ever leaving a prison cell. As I see it, a life sentence is more similar in nature to a death sentence than it is to a sentence with a finite number of years. Both condemn you to die in prison, a life sentence just takes longer. . . . Even now I understand what a terrible mistake I made. I’ve had my youth, and I know you must take away my middle years, but please leave me my old age. Please leave a small light at the end of the tunnel, an excuse to stay healthy, an excuse to dream of better days ahead, and a chance to redeem myself in the free world before I meet my maker. If you’ve not heard of Ulbricht, he was the mastermind behind the infamous website Silk Road. On this website — a product of the “dark web” — people all over the world could buy and sell illegal drugs, fake IDs, and other contraband. Some call Ulbricht a hero. Some say he played a high stakes game and crapped out. Still others say Ulbricht deserves what he is getting. Whatever your opinion of him personally, we must remember some important things about this case that could prompt us to ask deeper questions about the nature of justice and of the justice system. First, on strictly consequentialist terms, Silk Road — and thus Ross Ulbricht — probably saved a lot of human lives. When you couple the eBay-style reputation engine with the relative anonymity of a black market, you get what we might call a “gray market.” And that gray market allowed those determined to buy certain items — illegal drugs, etc. — to do so in a far, far safer way than ever before. Silk Road and dark websites like it remove commercial activity from the hands of violent cartels fighting over territory, from the gangland districts of US cities, and from dodgy dealings behind shady buildings. Second, in a pragmatic sense, the apprehension and sentencing of Ulbricht has not deterred these grey market entrepreneurs. Wired reports prosecutors asked the court that Ulbricht be given “a lengthy sentence” to dissuade other would-be dark market operators: “The court thus has an opportunity to send a clear message to anyone tempted to follow his example that the operation of these illegal enterprises comes with severe consequences,” write the prosecutors in a letter. When the FBI shut down the Silk Road in October 2013, it looked like a crushing blow to online drug-dealing. 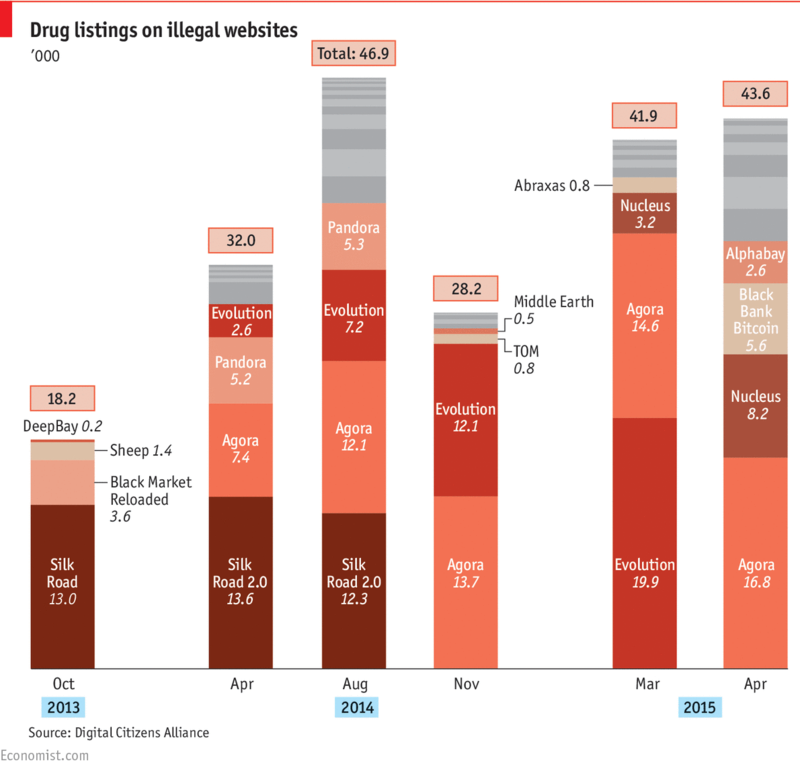 The site had 13,000 drug listings, making up more than 70% of the online drug market. But the industry bounced back. Within months of the Silk Road’s closure, a new site called Silk Road 2.0 popped up. It, too, was soon busted, at which point two smaller sites, Evolution and Agora, took up the slack. When in March this year Evolution vanished (this time as the result of a scam by its operators, rather than a police investigation), the gap was filled within a month by new pretenders. Whatever one thinks about Silk Road and the agorist philosophy that drives it, the harsh reality is this concept — this grey marketplace — is a multi-headed hydra. Cut off one head and another replaces it. As long as the demand for drugs exists, and as long as the Internet provides a safe, reliable, easy forum for exchanges of all kinds, the two will go hand in hand. Third, though the substances exchanged on these online marketplaces aren’t always safe, they are safer than any given product that can be acquired on the street. Why? Reputation is everything, even in gray markets. It’s very difficult to develop a reputation for quality if you’re constantly trying to sell low-quality products, and it’s even harder to develop a reputation if you’re trying to game the system and start over with reputation capital, time and again. The most successful purveyors of products on Silk Road, just like the most successful purveyors on eBay or Amazon, were the ones who offer the highest quality, safest products, because that is what consumers demanded. Fourth, there is a changing consciousness about drugs and the law in our society. Indeed, one need not endorse drug use — which can be risky — or condone breaking the law — which most assuredly is risky — to notice the devastating consequences of the War on Drugs. Even some conservatives — like David Simpson, a Republican legislator from Texas — are moving to legalize marijuana use, for example. I said that really to address my fellow Christians. Timothy 4:4 says, “everything God created is good, and nothing can be refused if it can be received for Thanksgiving.” Now that doesn’t mean everyone should use it, it doesn’t mean it’s not dangerous. Rattlesnakes are dangerous, but we eat ’em for meat. And some people, you know, they eat other rodents. But we don’t ban them. We don’t seek to eliminate them. We recognize that there’s a place in the economy for it. Of course, not all Christians agree with Simpson. But increasingly, more and more people are changing their minds about the effectiveness and the justice of prohibitionist policies, whether it’s because they see the destructive consequences of the Drug War, or because they are tired of paying for policies that have not worked. There will be fierce debates among our readers about whether the laws that Ulbricht broke were just laws, and if not, whether one is still justified in breaking unjust laws in the name of “civil disobedience,” and if so, whether it is wise or prudent. I will not attempt to settle that debate here. 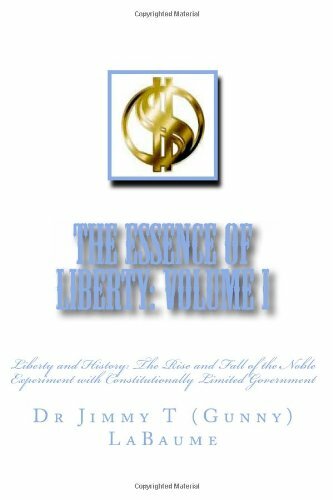 Rather, I will say that the costs of ordinary people engaging in acts of civil disobedience are going down, and the benefits are going up; the likelihood is that the frequency of such acts will increase. So what about Ulbricht? He will most likely die behind bars, an old and enfeebled man. How will posterity remember him? Will he be considered a martyr or a fool? It’s hard to say. But one thing is clear: He was an innovator and an entrepreneur in a space that most fear to tread. For better or worse, Dread Pirate Roberts opened Pandora’s Box. This entry was posted in The War on Drugs and tagged Max Borders, Ulbricht, War on Drugs. Bookmark the permalink.